Paua is unique to New Zealand and the most colorful species of abalone. 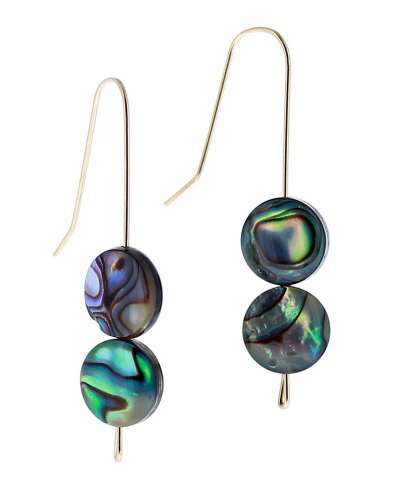 Paua dangle used here, 10 mm coin shaped beads, dangle on an earwire hand formed from 14kt rolled gold wire. Earrings measure 1¾ inches from top of earwire to bottom of dangle and weigh less than 0.05 oz each.